Social media marketing, or SMM, is a form of internet marketing that covers activities involving; content sharing, videos, and images for marketing purposes, as well as paid social media advertising. Secondly, it implements various forms of social media networks in order to achieve marketing communication and gives prominence to branding objectives. Research has found 65% of adults now use social networking sites – a nearly tenfold jump when compared to the past decade. It has become so infectious where more than half of rural residents now use social media and so do matured men and women. Thus, it is necessary to be aware that your customers are on Social Media all the time and your competitors are working hard to secure a share off it. Therefore, make sure your company is properly engaged in Social Media. To this end, PIXEL CLEAR SOCIAL MEDIA team can help in developing Social Media Marketing strategies which analyze specifically analyzes your situation and make recommendations. Initially, we provide consultancy work for your business to understand and analyze; next, we carry out social media market research where competition is most. 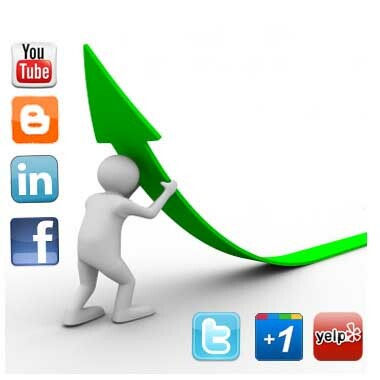 Our social media advertising services have accelerated growth almost 100% to our clients with unparallel results. Please refer to Pay Per Click for more details. We provide a range of social media writing relevant to your business; so that, what you are offering online generates a positive outcome. Social Media Marketing can loosely defined as branding and sales. It helps to increased Brand Recognition and loyalty. More importantly it creates higher Brand Authority. Facebook business account, Twitter accounts, Google map positioning etc. will define the nature your business. Conversely, social media boost sales, creates more opportunity to find prospects and ultimately affect a sale: research has found the conversion rate is very much high. Social media platforms provide a greater customer experience with several options to choose from. SEO (search engine optimization) is both important for better search and higher rankings – it increases Inbound Traffic. To encapsulate, Social Media Marketing offers a larger customer base at fraction of the cost to traditional marketing methods which are one off advertisements; be it news papers, journals or magazine. You need to have a brand able domain. Another golden rule is, it has to be short as possible. Also it should be pronouns able. It this factor you have to consider your target market as well. Also you can make the domain name readable specially for target segment language familiarity. Also no need to bias against .com. You can try regional domain such as Sri Lanka .lk and Australia .com.au . Also you can target the sector. For example if you are an organization .org . Make sure you avoid the names that conflict with others business. In keyword selection you can think about domain aspect as well. If the domain has keywords then it is an additional benefit. Amount of storage is an important factor. Also it is important to consider the bandwidth. Sometimes you may have sub domains and the hosting should facilitate that. The data base support is a mush. Also it should support the relevant technology. For example mysql or Mssql. How easy to install from control panel. There are situations where mobile hosting is different from web hosting. If you can get shell access then that is great. Access to ,htacess is also important. Cron job facility is an additional advantage. Web site backup approach is the key. You can own a email address for your website domain in both, info@pixelclear.com.au and info@pixelclearnew.jp.sanetra.net . This makes name and brand recognition easier and builds trust and confidence amongst customers generating greater marketing momentum. Also, whilst, the organizations information gets centralize; most of the email providers can chat on email as well. The scope is so vast that employees and clients can share the calendar for appointment; yet, divisions with the entity can have separate corporate emails too. In this modern competitive business world, coherently written content plays a vital role in positioning your website in digital market place. Understandably, to have proper content in place a good Knowledgeable Language writer coupled with Technical and domain knowledge is vital. E.g. SEO content writing plays an important role in keyword analysis and preparing the SEO copy right. In that context “Call To Action” is also an important feature. Also proper structuring and design of the content is equally important i.e. Proper Titles and Sub Titles dealing with the genre(s) in question. Thus, rather than writing content to impress, it must cognate, be concise, unambiguous and excel in clarity. Hence bearing in mind, the ultimate objective is not only to make the reader happy but making it understandable. For better reader comprehension, it is suggested a page shouldn’t exceed 500 words, keeping to a minimum of 300 is best. This because content reading of today must encapsulate the bottom line with fewer words, as readers are inclined to view picture-grams, as opposed to lengthy essays. Essentially, web site photography must follow some conventional norms but more creative shooting if it is to entice the viewer to provocative thinking. For instance, an important factor where the most outstanding features of a given scene or product should be captured saliently. Whilst, the focus point needs to be balanced in a way that the photograph catches the eye of the beholder, thus to achieve this, proper lead lining is paramount. Identical symmetry makes photos exceptional when the divine proportion is precise (1.618). Also, identical patterns make photos attractive. The photographers view point is also very important. The back ground and fore ground makes quality of the photos everlasting. Other factors that need be considered are depth of field, composing and cropping etc. Designing isn’t Just about Photoshop or similar procedures. It’s about the psychological effect it bears upon the viewer. Most graphic designers are good in typography, colors, images and the use of space. 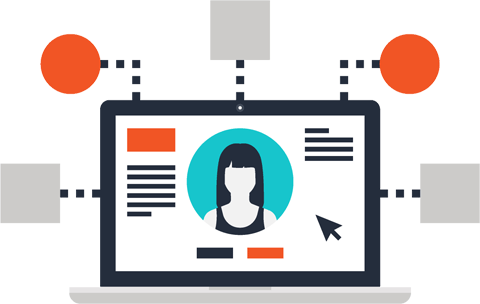 But the User Interface (UI) designer goes further in focusing on imagery, icons and other design elements such as; head images, slideshow and background images. These qualities are embedded in visual designers where a wider scope on the subject with years of experience brings along. He/she will think in every possible angle, how the web site is going to look on a smart phone, tab and laptop, notwithstanding the browser effects, loading time etc. Summing up, a good effective web site visually communicates without the actual viewer being there and is richly informative in every possible way; thus, the graphic designer is entrusted with that gigantic role.